Nick Biasini’s interest in computers and technology started at a young age when he tore apart his parents brand new 486SX PC. Ever since he has been tinkering with computers in one way or another. Nick started down the path of information systems in college and has spent his professional career working in information security. Nick has spent time in most roles in a SOC including analyst, engineer, and managing teams. 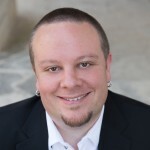 Nick has a master’s degree in digital forensics from the University of Central Florida and has worked for government and private sector environments in his career. In his time with Talos Nick has researched a wide range of topics including Exploit Kits and various malware campaigns being distributed through SPAM.